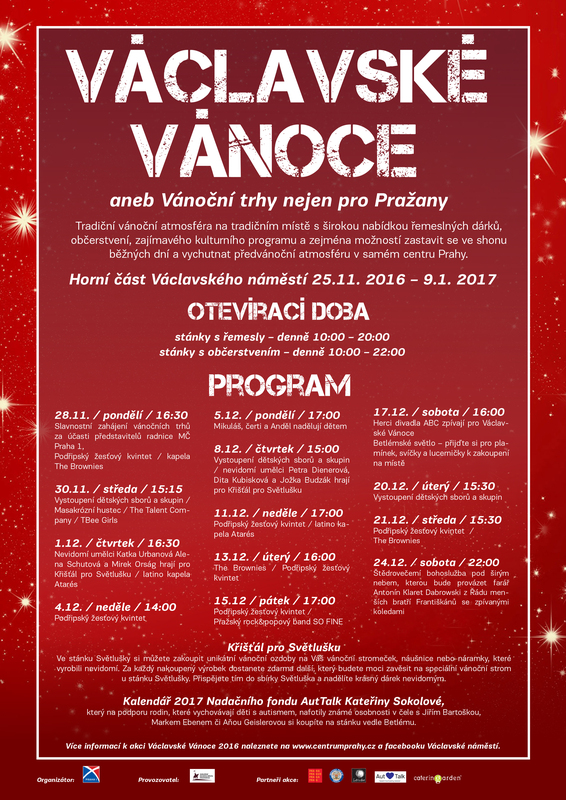 Dear friends, this is it! 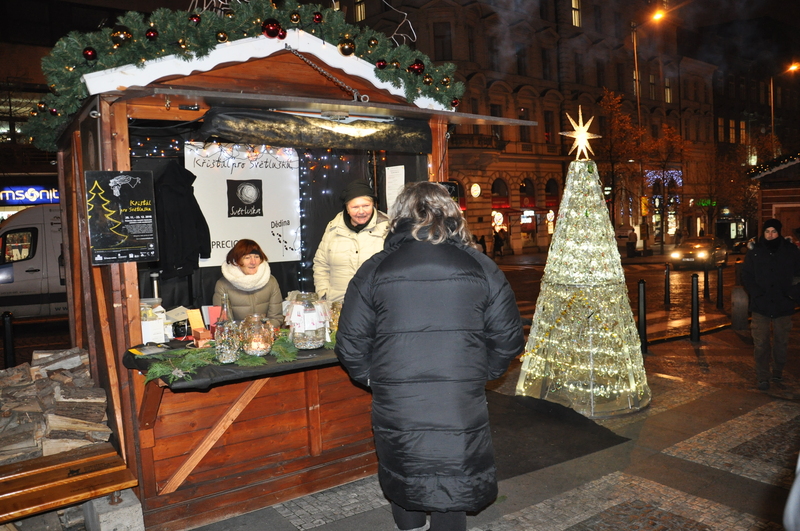 Are you looking forward to a glass of mulled wine or cup of delicious coffee from Nepal or Australia? 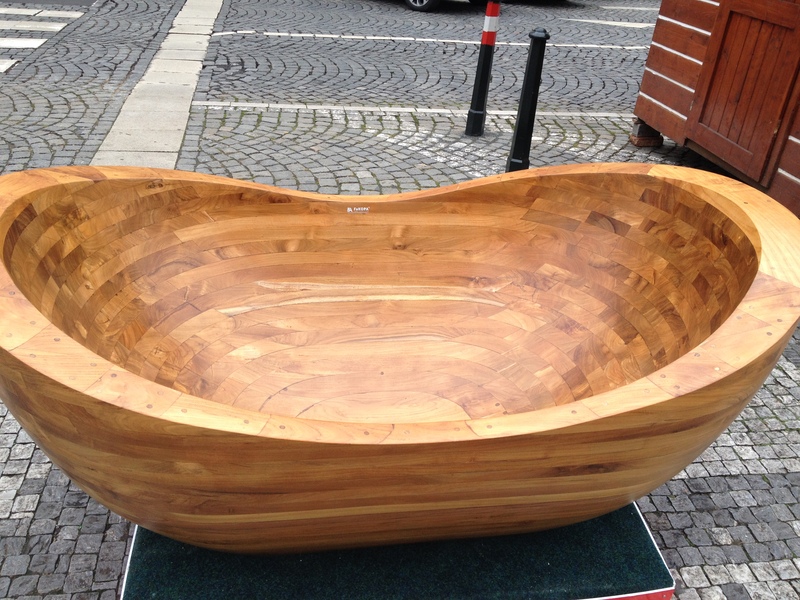 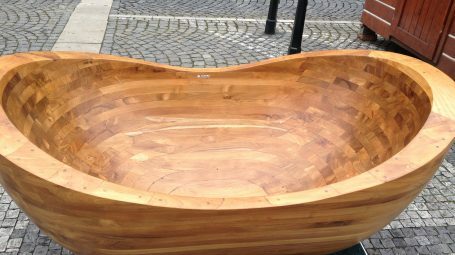 Are you eager to set your walnut shell boat afloat and light its candle? 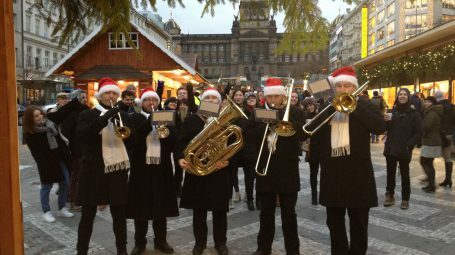 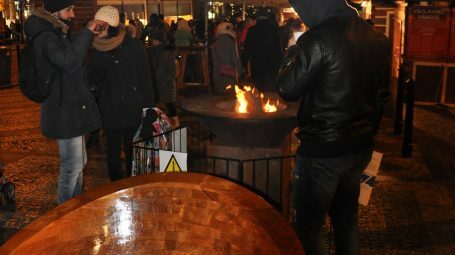 Are you longing to warm yourself by an open fire, support NGOs such as Světluška (Firefly) or the AutTalk Foundation, stop and listen to trumpeters, a Cuban band, rock group, or children’s choir sing Christmas carols? 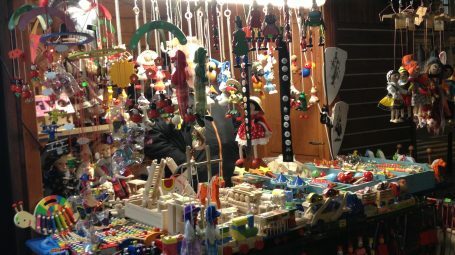 Perhaps you just need to buy a handmade or appetising last minute gift? 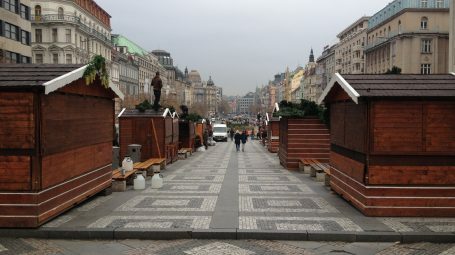 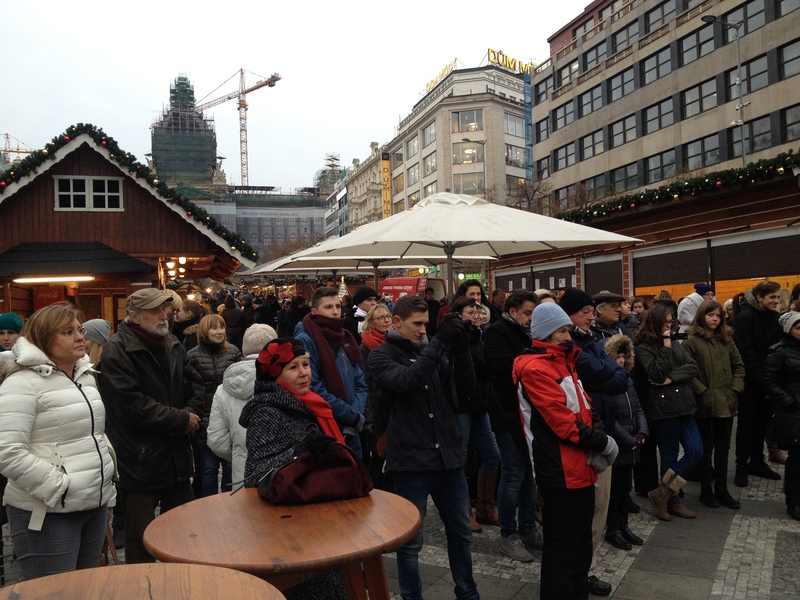 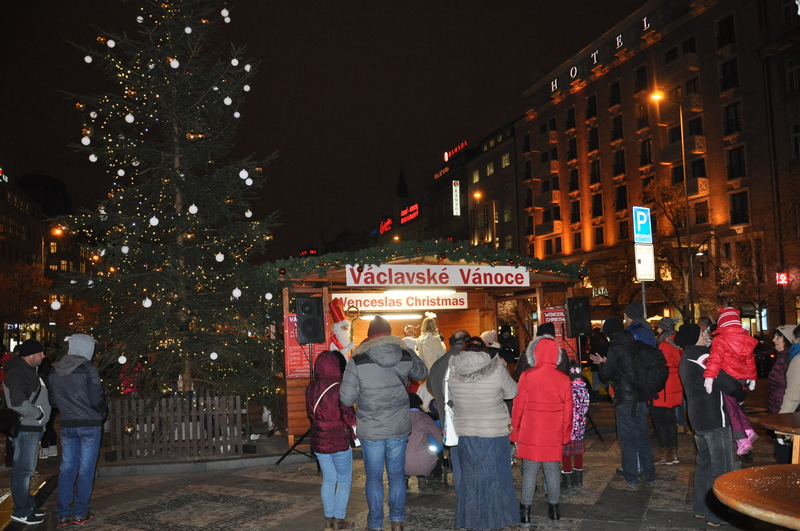 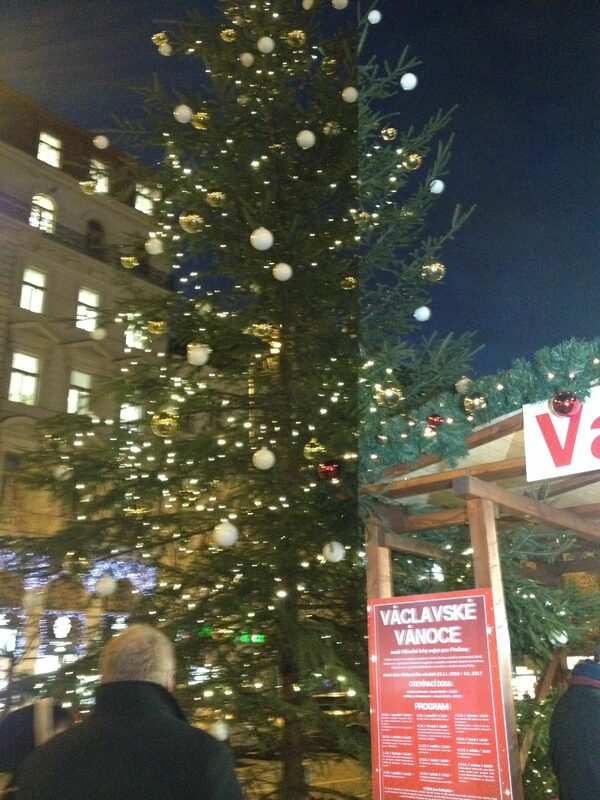 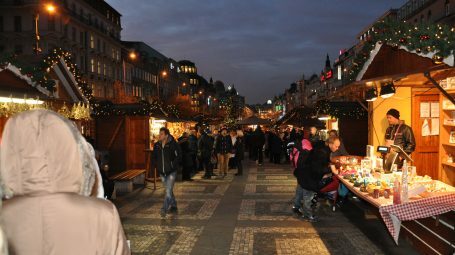 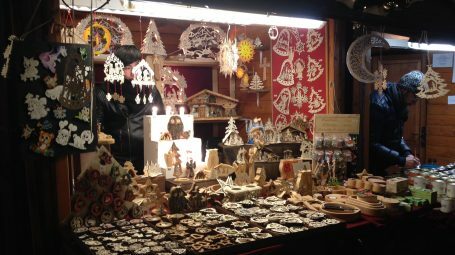 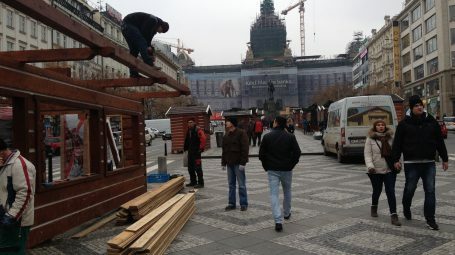 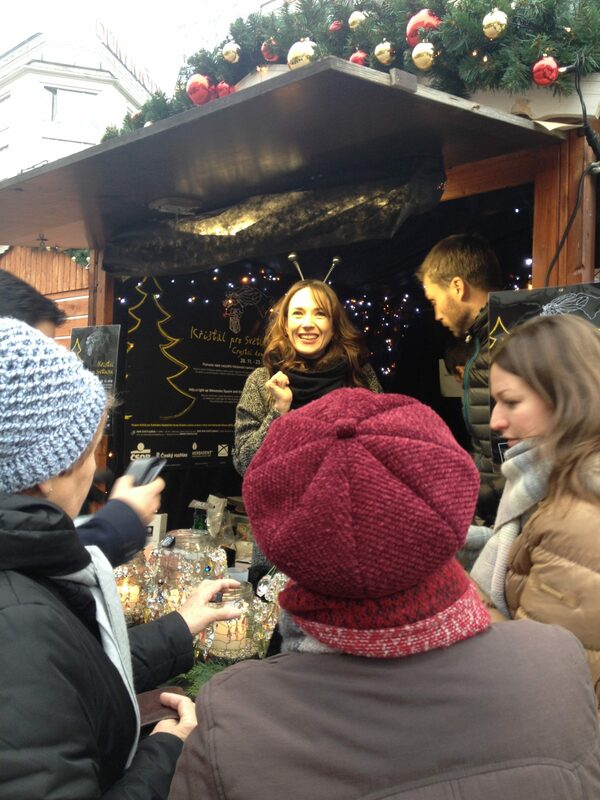 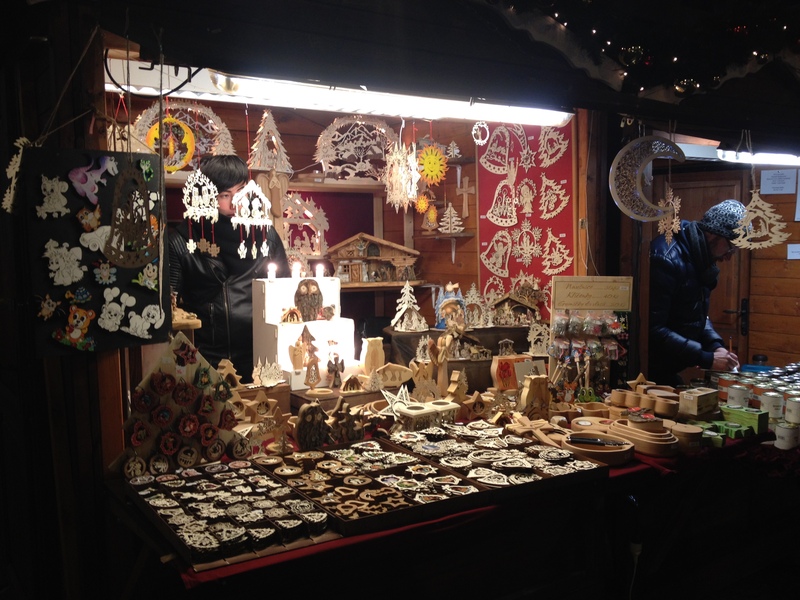 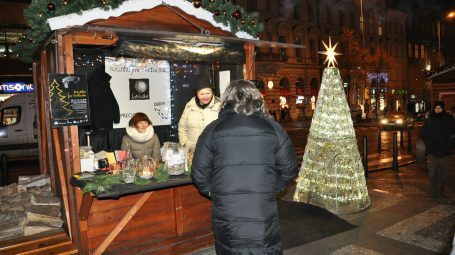 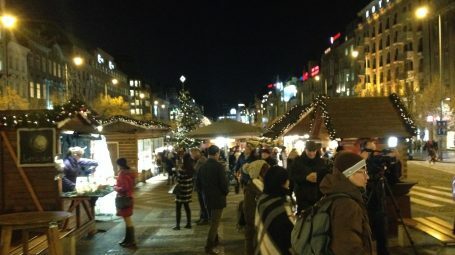 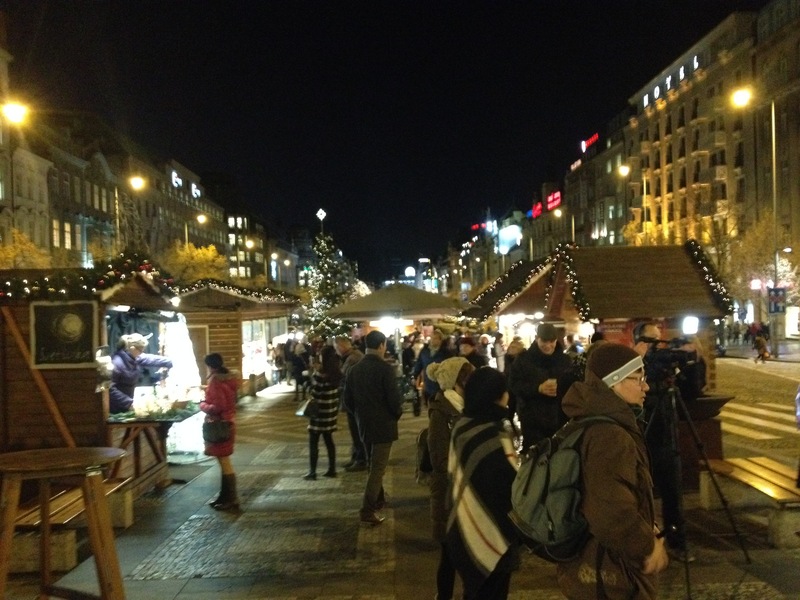 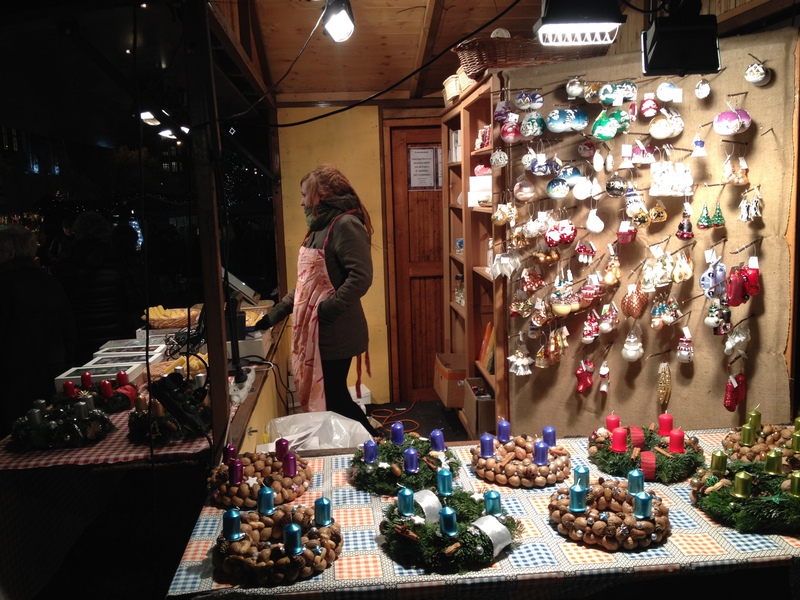 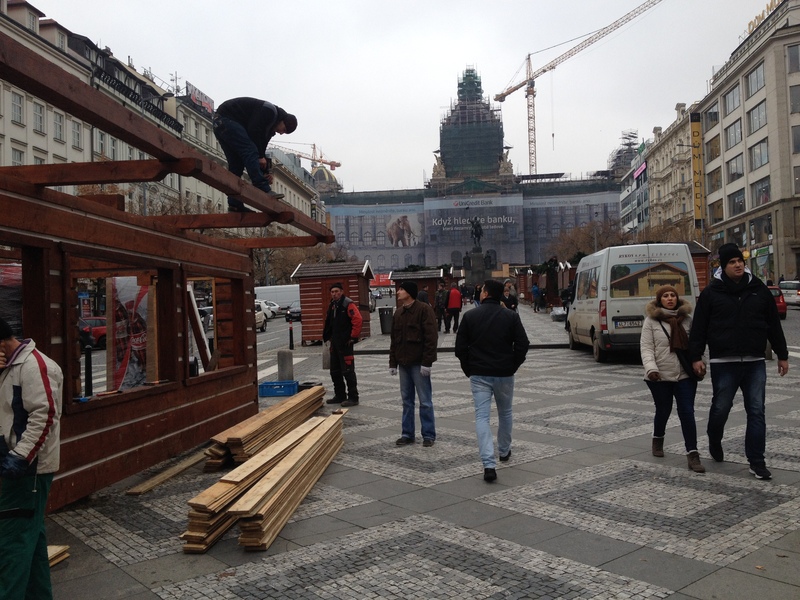 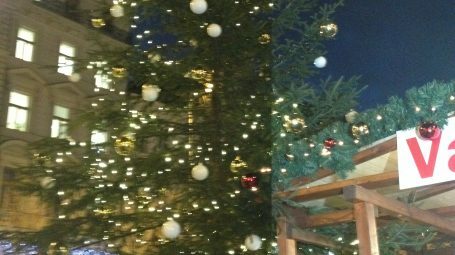 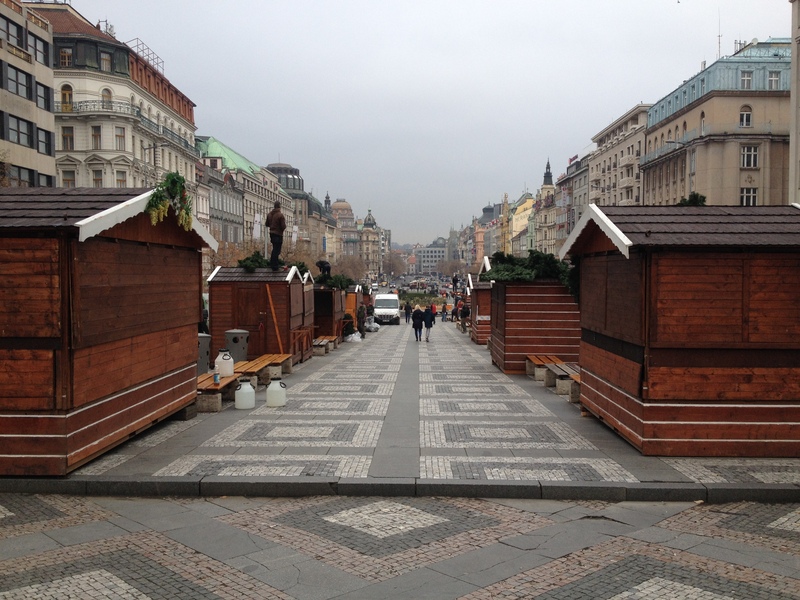 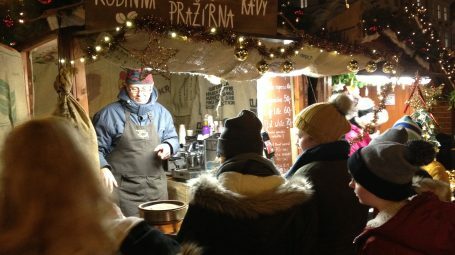 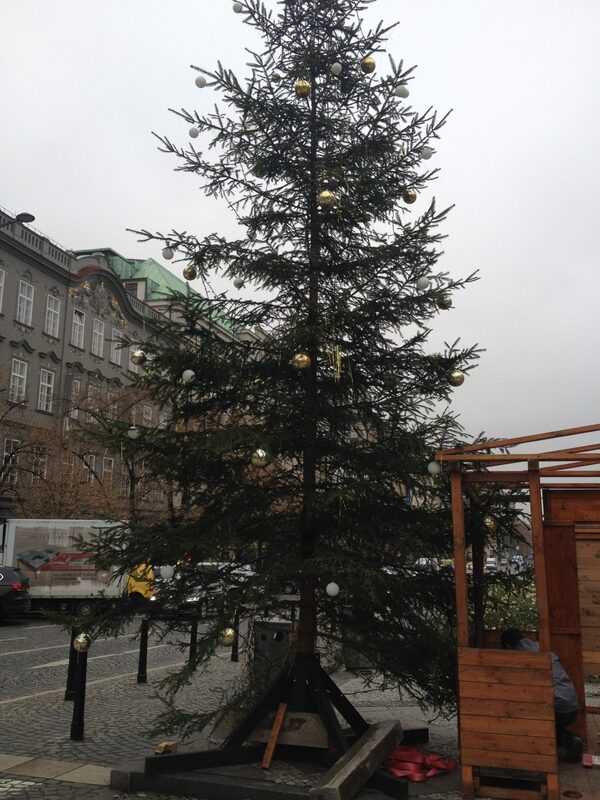 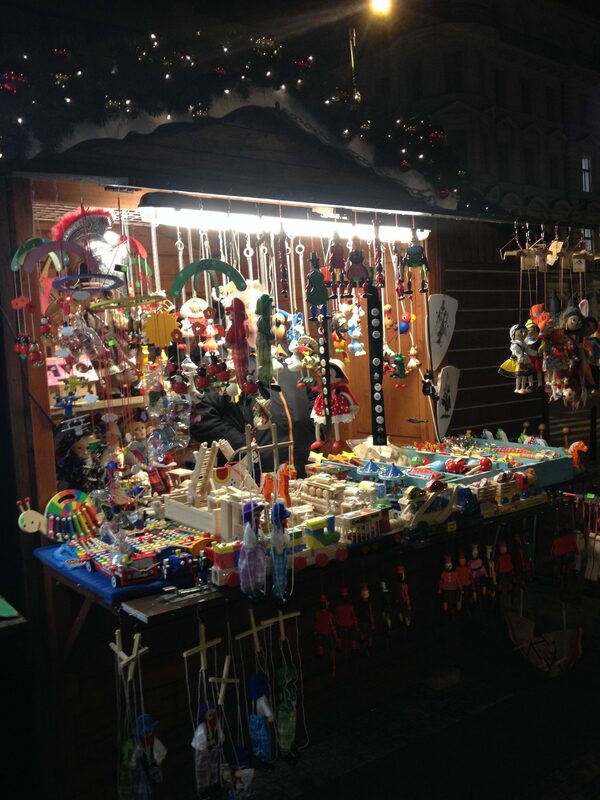 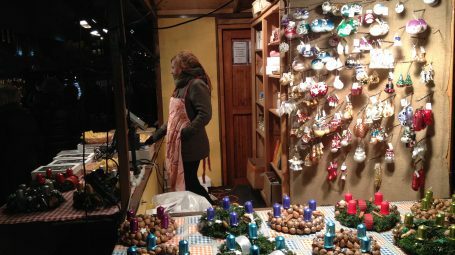 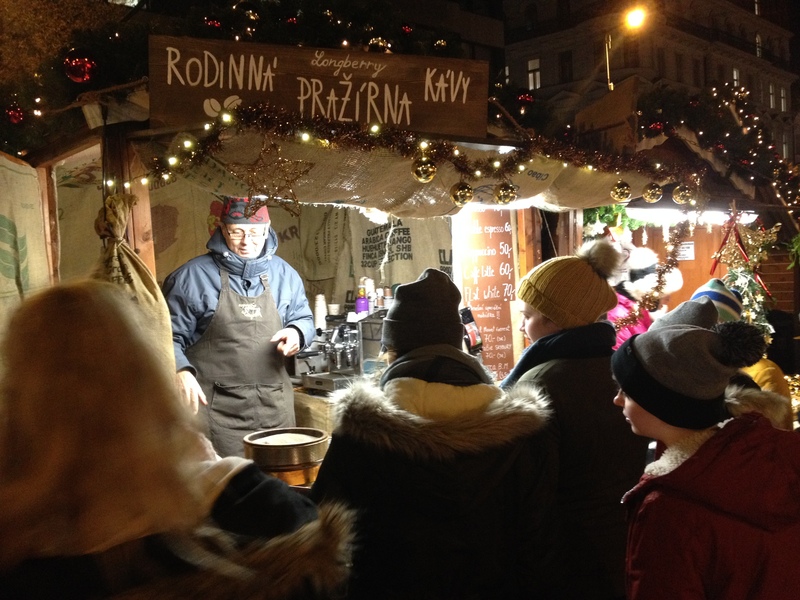 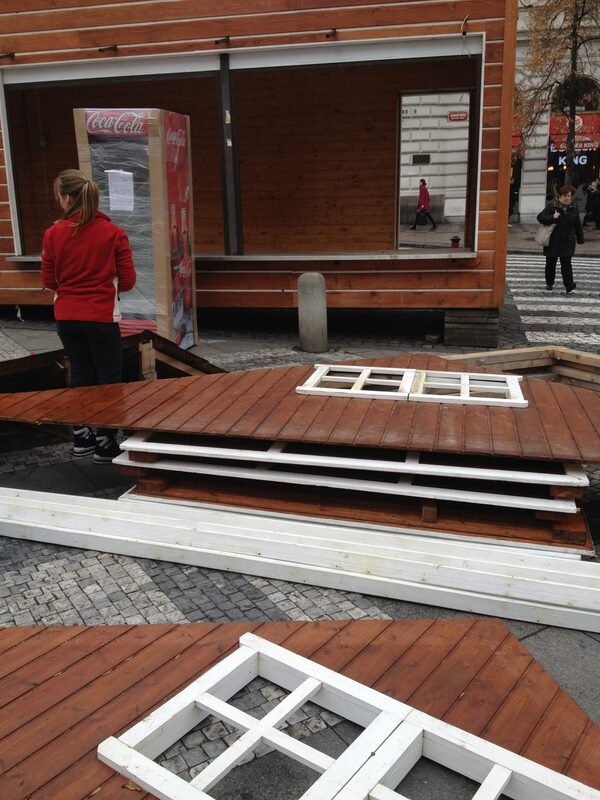 We invite you and your family, acquaintances, friends and work colleagues to visit the traditional Christmas markets taking place at the top end of Wenceslas Square for the sixth year titled Wenceslas Christmas 2016, from 25 November 2016 – 9 January 2017.
,,By purchasing a Christmas decoration from Světluška you can not only decorate your tree at home, but also light up the square for passers-by and give a gift to the blind,“ says Linda Vaňková, the Manager of the Světluška campaign. 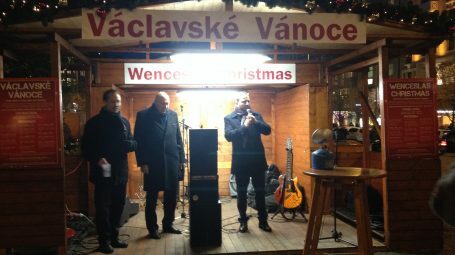 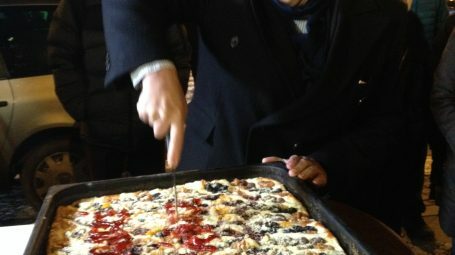 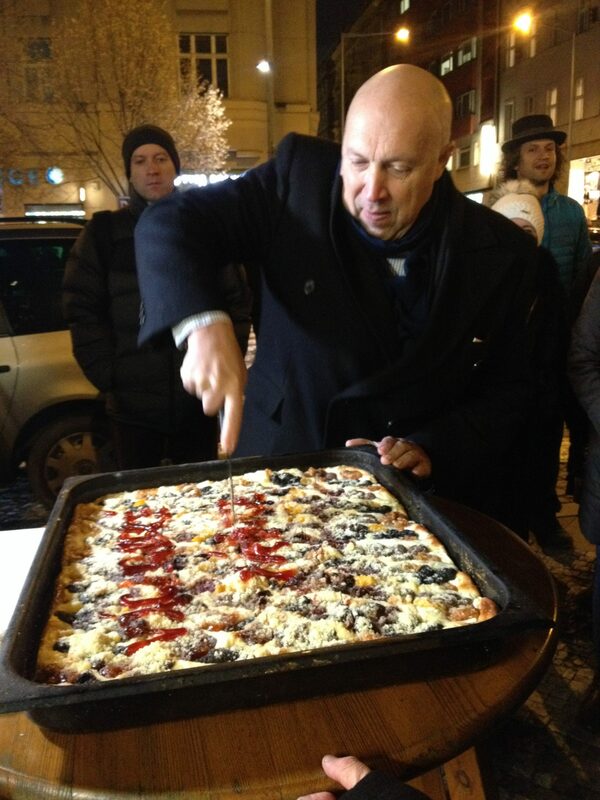 Last year we raised CZK 341,040 for Světluška. 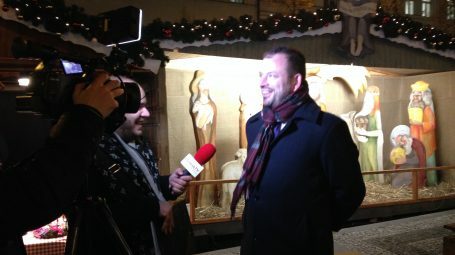 You can buy the 2017 calendar for Kateřina Sokolová’s AutTalk Foundation, which supports families raising children with autism, featuring photos of personalities headed by Jiří Bartoška, Marek Eben and Aňa Geislerová, at the stall next to the nativity scene. 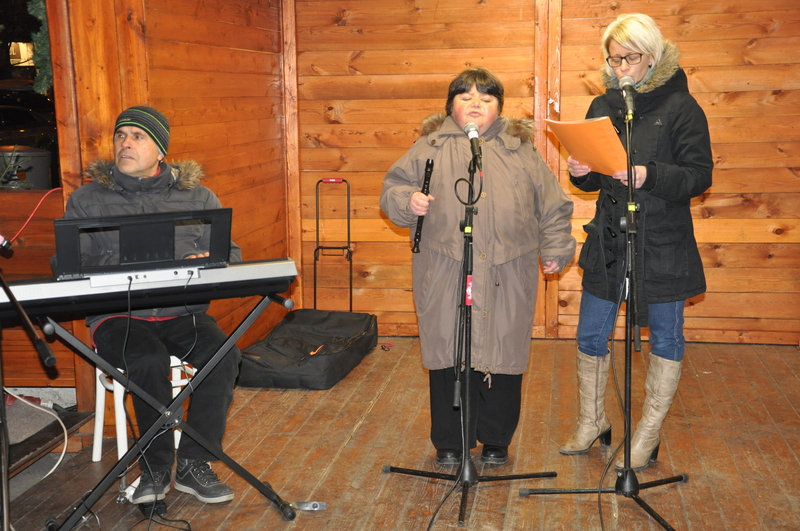 As in previous years, there is a diverse cultural programme. 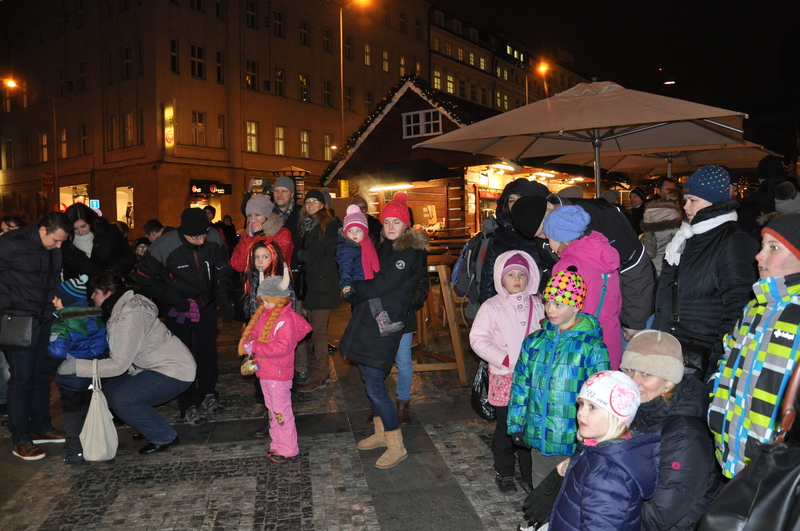 Performances by children’s choirs and groups from Prague kindergartens, primary and art schools have are scheduled for 30 November, 8 December and 20 December, hosted by Lucie Pernetová from the ABC Theatre. 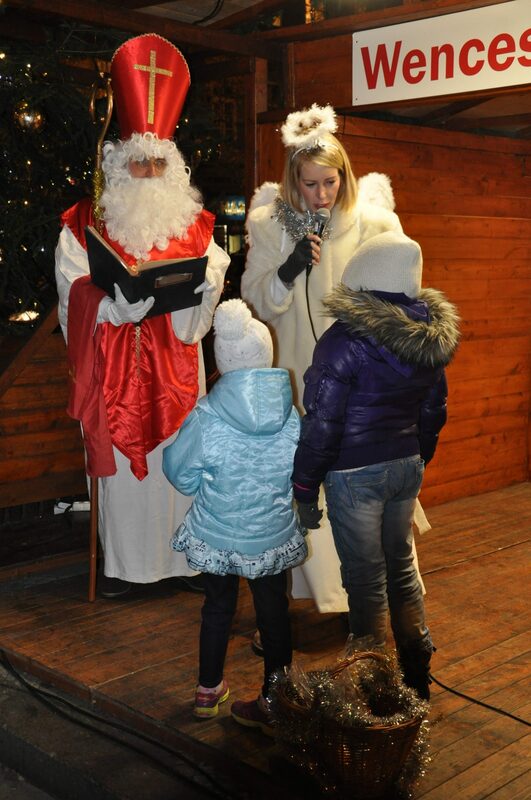 Of course, St. Nick, accompanied by his faithful angel and the devil, will visit the market on 5 December from 17:00 to give children sweets. 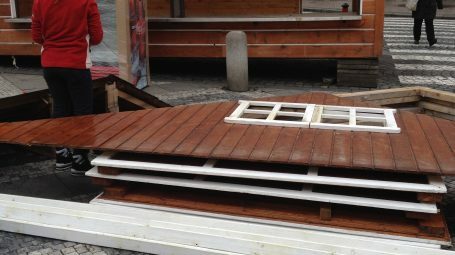 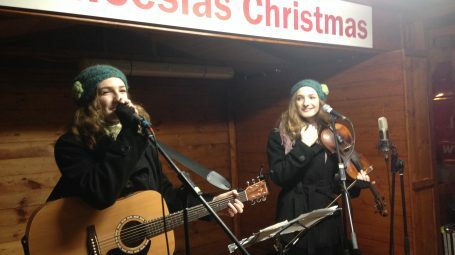 The music programme will traditionally feature blind artists Mirek Orság, Katka Urbanová, Petra Dienerová, Dita Kubisková, Jožka Budzák and Alena Schůtová, who will play and sing not just for Světluška. 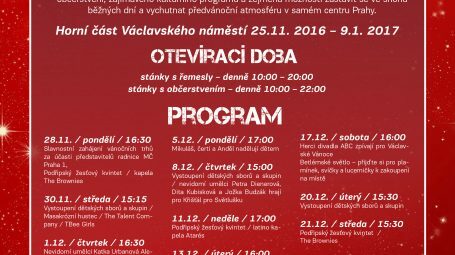 There will also be trumpeters from the Podřipský brass quintet, rock&pop group SO FINE, and Latino band Atarés and The Brownies. 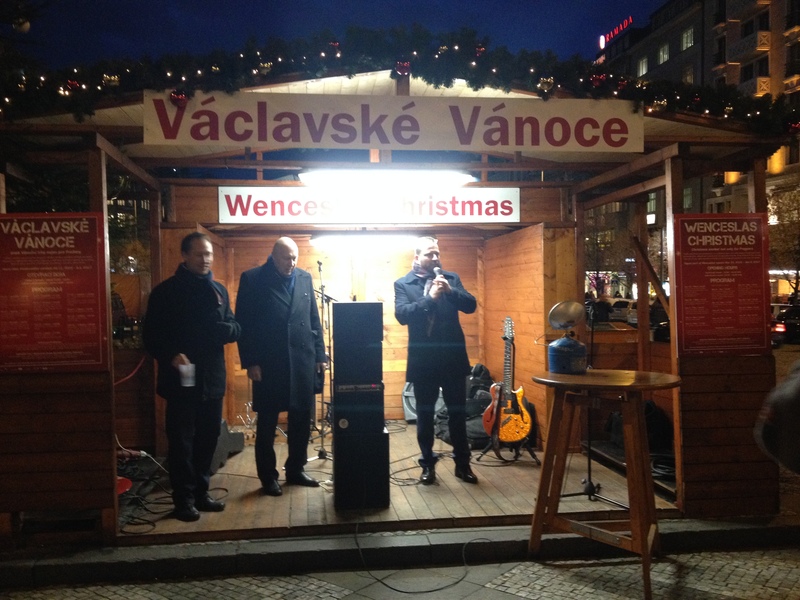 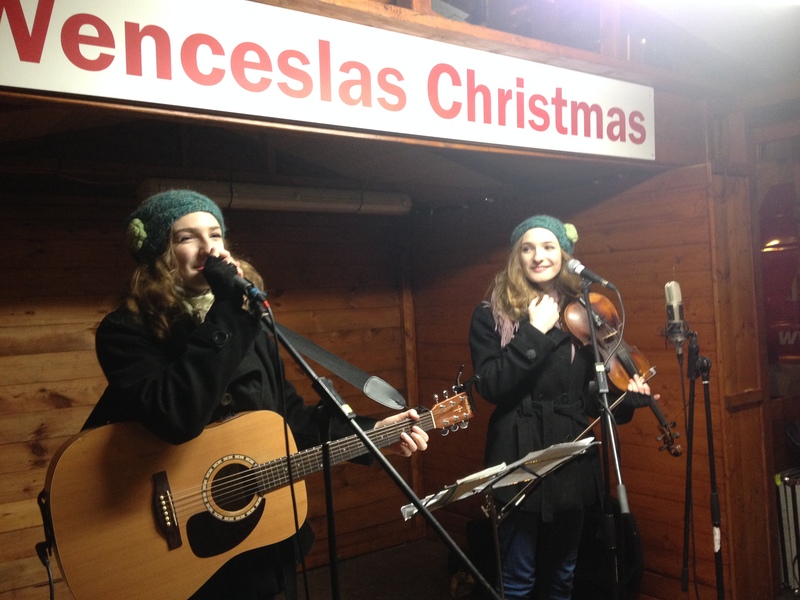 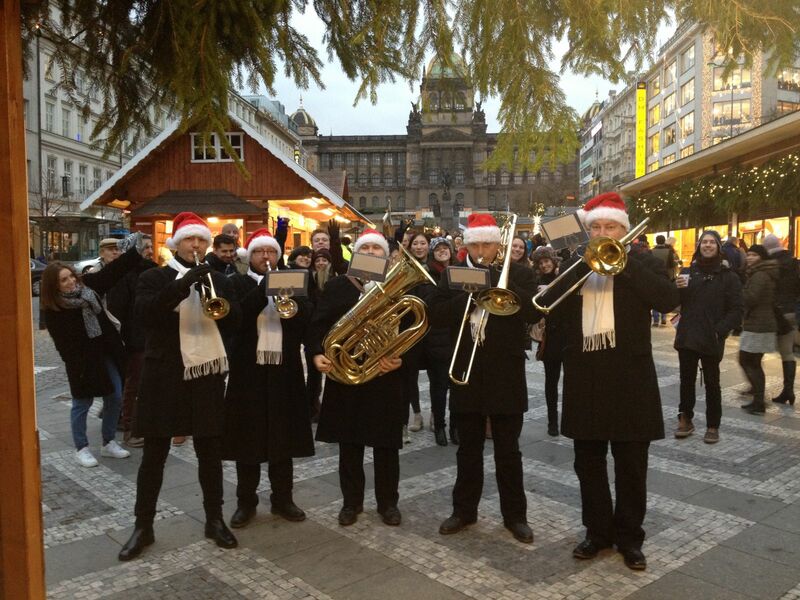 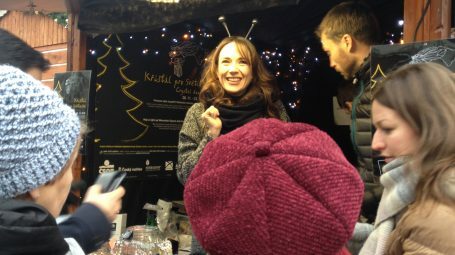 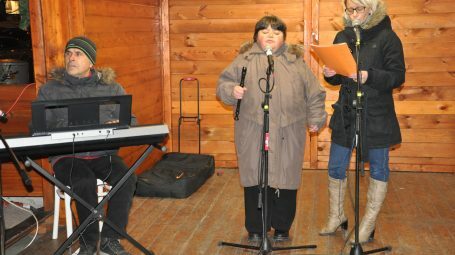 Actors from the ABC Theatre will also sing at Wenceslas Christmas. 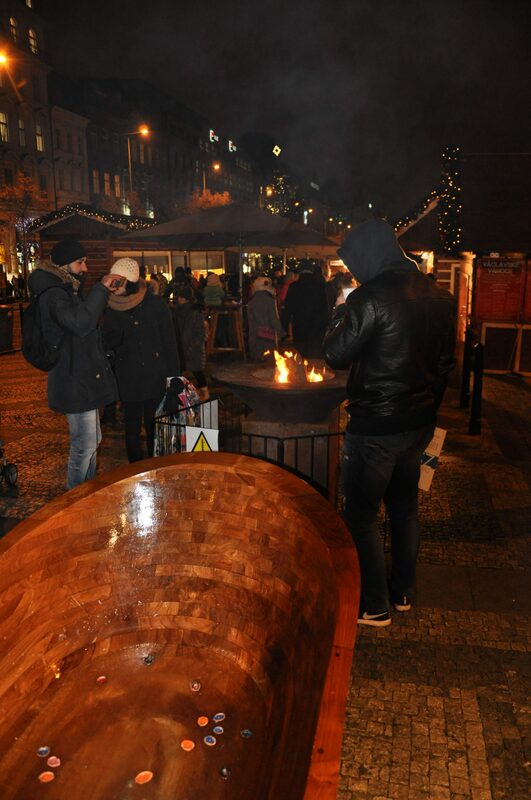 Visitors will also be able to come and collect the light of Bethlehem from 17 December. 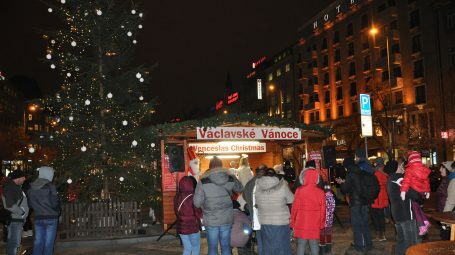 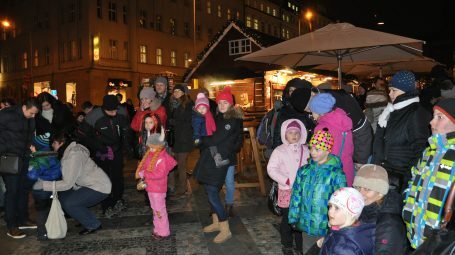 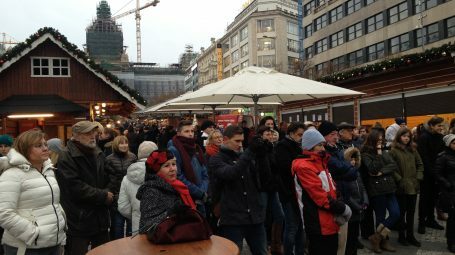 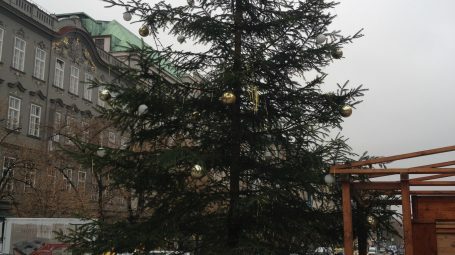 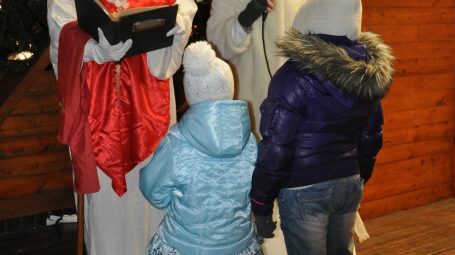 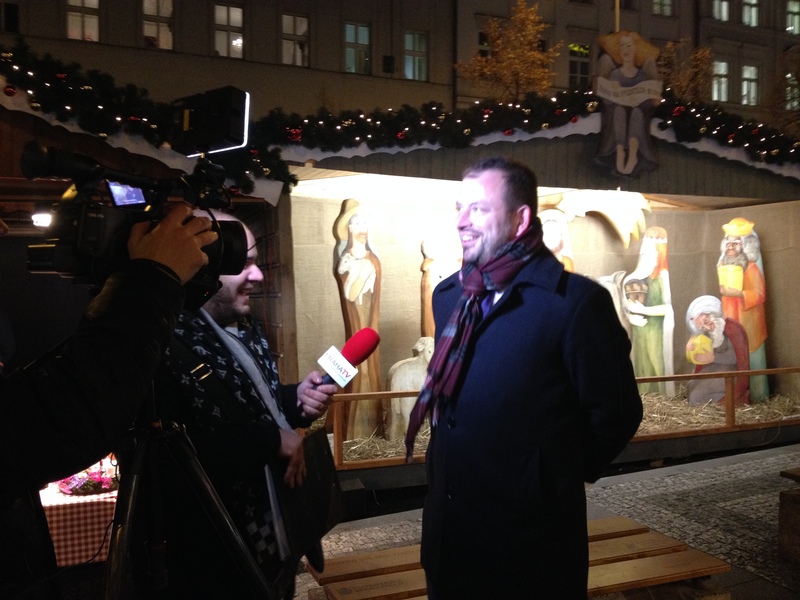 A traditional mass with Christmas carols will be held in the open air from 22:00 on Christmas Eve , celebrated by Pastor Antonín Klaret Dąbrowski of the Franciscan Order of Friars Minor.